The Lord Edward began trading in 1967 when the famous Red Bank Restaurant, in Westmorland Street ceased trading. The then owner of The Cunniam Tavern, Tom Cunniam opened the restaurant with the ashes of the Red Bank, bringing the staff and menus to what was at the time his residence. The Restaurant started serving just lunch from the two bedrooms but the word of this new restaurant spread and soon he was open for dinner to huge successs. In 1989 Tom Retired and the business was bough by by David Lyster, the son of a publican family from Stonybatter, Dublin. 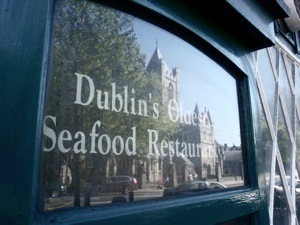 The Restaurant is still run to this day by David, his son Jim and the rest of the Lyster family. This famous Tavern is named after Lord Edward Fitzgerald who was the 5th son of the Duke of Leinster. 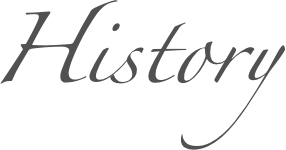 (Leinster of which Dublin is the capital, being the largest of the four Irish provinces) His ancestral home was the magnificent Carton Hall in Co. Kildare, and his Town House was Leinster House now the seat of our parliament. His seaside house was the lovely, though now direlict Frascati in Blackrock, Co. Dublin. Lord Edward reached high rank in the English Army, and saw service in the American and West Indian Colonies. Because of his family background, he was given a seat in the Irish Parliament, which was housed in what is now the Head Office of the Bank of Ireland in College Green, Dublin. It did not take him long to realize that this was a puppet parliament. He became disillusioned with their policy rigging, and soon came to the notice of The United Irishmen (Free Ireland Movement). Because of his military experience, he was appointed C in C of their forces, and helped plan the Abortive Rebellion of 1798 against the Crown with Robert Emmet, Wolfe Tone and Napper Tandy. 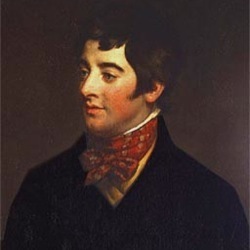 Due to the ever present paid informer of the Crown in Ireland's long history of insurrection, Lord Edward was arrested in his hiding place in nearby Thomas Street, prior to the date fixed for the rebellion. In resisting arrest he was severely wounded, and later died of his wounds in Newgate Jail on the North side of the river Liffey. He was aged thirty-five. He is buried in St. Werburgh's Church across the road from our restaurant entrance.